Area:Land 747 km². Freshwater 30 km². Exclusive economic zone 700,000 km². Terrain: Most islands have limestone base formed from uplifted coral formation. Others have limestone overlying volcanic base. Climate: Tropical cooled by southeast trade winds. Geography: An archipelago consisting of 170 islands divided into three groups, Ha'apai, Tongatapu, Vava'u. 36 are inhabited. Economy: Important industries include fishing and tourism. Major export commodities are squash, fish and vanilla. In 1971 a demonstration pond was established by the US Peace Corps at Sopu on Tongatapu island. In 1978 a mariculture centre was established with assistance from Japan. An experimental turtle hatchery was established at Sopu in 1971 in an effort to restore the hawksbill turtle population to its former status. Six month old turtles were released into the wild. In the late 1960s, milkfish that spawned naturally in Lake Ano Ava was polycultured with tilapia and mullet. However, results were inconclusive. With the onset of the pole-and-line fishery for skipjack tuna, mollies (Poecilia vittata) were introduced in 1974 at Sopu to meet the demand for tuna bait. Growth results were good but the mollies as bait alone were poor and were more effective when mixed with other baitfish. When the project was terminated in 1978 its results were not considered insignificant. Mullet had high priority in the country's development plans. Culture started with capture of fry from Fanga'uta lagoon. Fry, mostly Liza macrolepis and some Valamugil seheli were collected and stocked into pens for grow-out. The fisheries department and the Japanese International Cooperation Agency (JICA) were responsible for these trials. Experiments investigating feed and growth were carried out to determine whether importation of Mugil cephalis fry would be a feasible undertaking. A project to cultivate local and introduced mussel was started in 1974 but ended inconclusively by 1979. In 1983 assistance from New Zealand's bilateral aid programme was provided to support mussel culture. Only one site, Fanga'uta lagoon, proved encouraging but the project could not be sustained due to distance from spat source (Philippines, Singapore), cultivation method utilised and the fact that the mussels were not adapted to the subtropical environment of Tonga. Edible oyster culture was initiated in 1973. Several species were introduced from Japan, New Zealand and USA, namely, Ostrea edulis, Saccostrea commercialis, S. glomerata, Crassostrea gigas and C. belcheri. Results from the trials were not convincing. The sites were not suitable and high mortalities occurred from predatory snails and during transshipment. Commercial culture of oysters was deemed unfeasible in 1979. In 1981 a project to investigate culture of the local species of oysters was terminated due to poor growth rates and low market prices. Pearl oyster culture began in the early 1960s. In 1975 an experimental venture was set up by the Tongan government. Broodstock of the winged pearl oyster (Pteria penguin) was imported from Japan for initial culture trials. Japanese assistance in farming was later engaged. Culture trials were conducted in Vava'u with imported species Pinctada margaritifera and P. maxima. The FAO South Pacific Aquaculture Development Project (SPADP) provided assistance in 1989 in carrying out stock assessment, spat collection surveys and grafting techniques. A project, Commercial Feasibility of Pearl Farming in Tonga, was initiated in 1993. Experimental trials of seaweed farming for Eucheuma spinosum and Kappaphycus alvarezii were initiated in 1982. Seed stock was imported from Fiji by a private company from New Zealand and planted at a farm in Vava'u. The fisheries department set up experimental farms at Tongatpu with seed from the Vava'u farms. By 1987, 14 farms were operational each with 50 lines. Highest production was recorded in 1984 at 7 tonnes but disease, low prices, predator grazing and cold weather and storms eventually closed down the industry. In the mid-1950s tilapia was introduced in an unsuccessful attempt to control mosquito. Later it was trialled for fish culture in the Sopu fish ponds, as part of an integrated farming system project with a piggery. The project was not completed. Tilapia spread to neighbouring areas and was introduced to several islands in Tonga. A concerted effort by government ministries and the Marine Research Foundation was made for stock enhancement of giant clams. "Clam circles" were created on reefs in Tongatapu and Vava'u and managed by the local communities. However, the project ceased after high rates of poaching occurred. 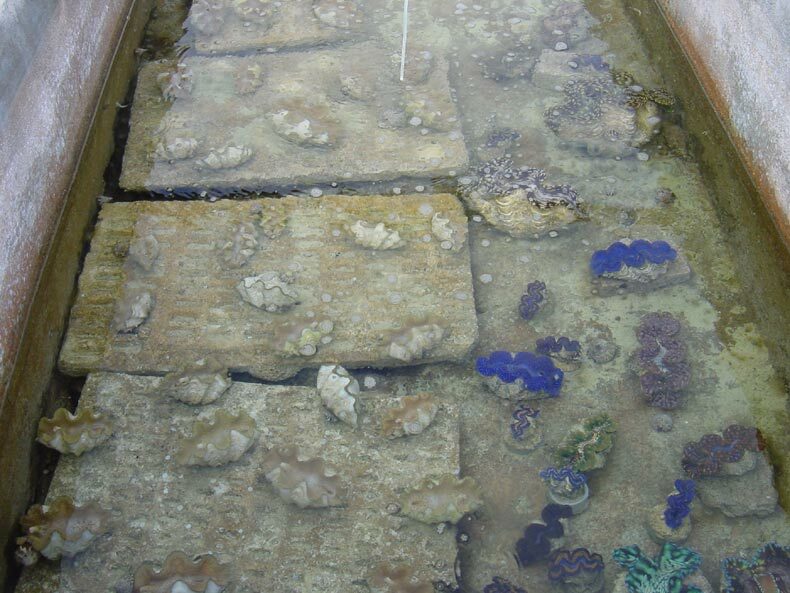 The Australian Centre for International Agricultural Research (ACIAR) funded construction of a giant clam hatchery and ocean nursery and provided technical training for government fisheries staff in collaboration with James Cook University, Australia, and the fisheries department. The new facility enabled the reintroduction of the previously extinct speciesHippopus hippopus, and establishment of the newly described species Tridacna tevoroa. This project was then continued by JICA. 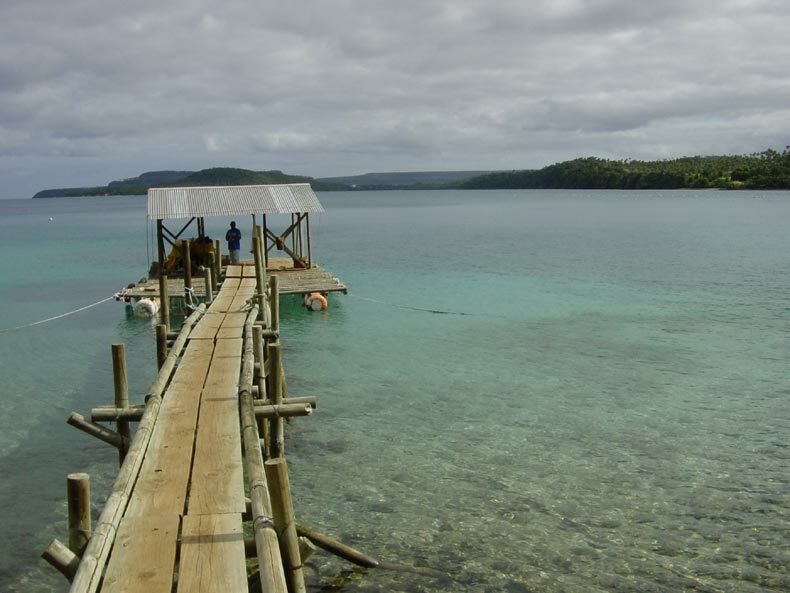 Many types of aquaculture have been tested in Tonga, mostly through government programmes provided with aid support. However, there has been little commercialisation of the research results. The government mariculture centre at Sopu, operated with the technical assistance from Japan, has been one of the pioneering institutions for green snail and trochus aquaculture in the Pacific. Regional training courses have been held at the centre and green snail broodstock distributed to various countries in the Pacific. Marine ornamental species such as hatchery reared giant clam, live rock and coral are exported for the aquarium trade, which is becoming an important economic sector. There are five main companies which specialise in exporting marine ornamental species such as giant clam, fish, coral, and live rock. Wild stocks of the seaweed mozuku (Cladosiphon sp) are exported to Japan by a private company. The facility is a small-scale operation with a processing plant for export to Japan. Development of effective aquaculture techniques may help to maintain a stable supply of mozuku. Tonga is one of the few countries in the Pacific with an act of legislation dedicated to aquaculture.